A Florida-based company has been sending out email saying that they have a device that will turn traffic signals green. They are charging either $69 or $79 for this product which they call a "Go Box." The email makes it sound as if they will send you an actual product. What they really do is only send you the plans! It gets even better... in looking at their plans I discovered that what they've done is to blatantly photocopy the circuit diagram, instructions, and even the circuit board artwork from a commercially produced do-it-yourself hobby strobe light kit. How do I know this? The "Go Box" circuit board layout contained a name on it. 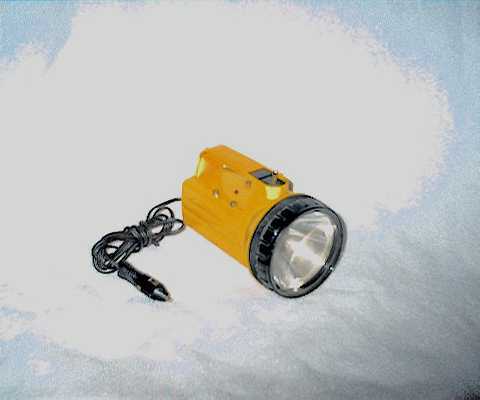 A quick internet search on that name led to a California-based company that produces a strobe light kit that looks 100% like the one in the "Go Box" instructions. I phoned the company and ordered the kit - $12.21 plus $4.50 shipping and handling - which includes everything but the batteries. Of course, it still doesn't mean that it'll work. The idea of the 'Go Box' is to produce a strobe signal equivalent to that produced by an emergency vehicle. There is equipment on some traffic signals which is designed to give priority to emergency vehicles on a first-come first-served basis. If the 'Go Box' were to work 'as advertised' it would allow a motorist to gain access to this system. The current second and third-generation preemption equipment uses tighter specifications that the older first-generation equipment. Interestingly enough, the 'Go Box' people don't even give the basic calibration settings necessary to get their device to work with the obsolete first-generation equipment - they just tell you to dial it in until it works. I won't say that on every brand and model of optically-based traffic signal preemption equipment still functioning on planet earth that there isn't the possibility that this thing might actually work somewhere - but I will say that the odds range from roughly highly-unlikely to dang-near impossible. Why? Second and third-genereration equipment from the two major manufacturers of optically-based preemption equipment require a high level of accuracy to function and they also use encoding for vehicle identification which adds to the complexity. Devices which only roughly mimic the signal waveform (e.g. 'Go Box') cannot produce the coded pulses necessary to trigger an encoded system. If you can't reproduce the code, you can't get in. Why was this done? Back then my employer was just beginning to install preemption equipment. I felt that the equipment of the day lacked security and thought that it would be possible to breach the system with a home-brew unit... to make my point I built this unit at home, took it to work, and showed that it could be done. In fact, I specifically built it using easily obtainable common components: 100% Radio Shack electronics and the innards out of a standard automotive timing light. The 'Go Box' circuit being sold presently is extremely similar (same key timing components, etc) to the one employed in the unit pictured above. It is doubtful that this demonstration had anything real to do with the changes that came a few years later... but at least changes did come. By the early 1990's the major manufacturers of optical preemption equipment improved their designs to include coding schemes (with thousands of unique vehicle ID codes) as well as more precise operational requirements. Today's preemption technology is much better than that of the 1980's which has led to greater security and reliability. How's this for a plan: now that I've dug the old "Evalin Woodhead" unit out of my garage - I'll tune it up to once again make a point - this time I'll show that it doesn't work! Darn, I guess its too bad that nobody can prove a negative.